In an emergency, phone 111 and ask for an ambulance. If the person does not have immediate life-threatening injuries you may be called back by a registered nurse or paramedic. If you are deaf, hearing impaired, or speech impaired, register with Police for the 111 TXT service. What happens when you dial 111? An operator will answer your call and ask if you want police, fire or ambulance. Answer "ambulance". The operator will then put you through to the ambulance control centre. You will be asked several questions, including those following. Where are you? What is the street and area you are on? You may be asked to repeat this for confirmation. how old is this person? are they male or female? are they awake and breathing? what is the person's medical history? is there any bleeding? do they have any chest pain? If they are injured, what sort of injury is it and how did it happen? What part of the body is affected? Your name and the person's name. What happens while you wait for the ambulance to arrive? The person on the other end of the phone (the call handler) will talk you through how you should care for the person before the ambulance arrives. This may include talking you through how to do CPR, and caring for a child. call the ambulance service back if the person's condition changes (keep the phone free in case the ambulance service needs to call you back). Does it cost to have an ambulance? If you do subscribe to the scheme you will not have to pay for an ambulance. Most medical alarm companies will cover the cost of ambulance call-outs. If yours doesn't, you will need to budget for this. 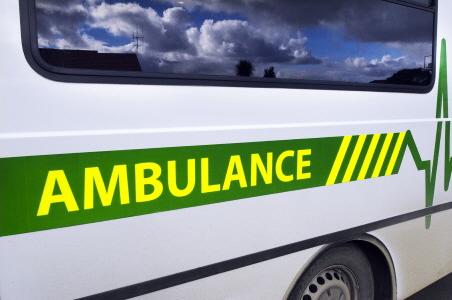 If the ambulance call-out is a one-off, and you can't afford it because of hardship, you may be able to get financial help through a Work and Income Special Needs Grant. This page gives details of the services St John provides, including ambulances. Written by HealthInfo clinical advisers. Endorsed by projects lead, Clinical Control Services, St John Ambulance. Page created December 2016.